Savour the fresh catches during dinner at Melting Pot Café. 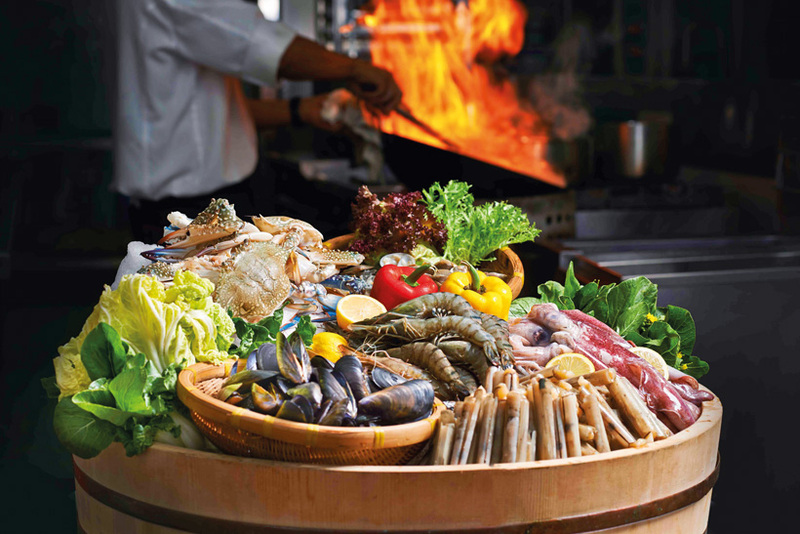 The seafood delights include crabs, prawns, bamboo clams, scallops and cray fish which are prepared at the live cooking station. Diners get to choose from cooking styles including kam heong, ginger with spring onion, paupiette and spicy curry.